Here is a comprehensive introduction to the physical principles and design of particle detectors, covering all major detector types in use today. After discussing the size and energy scales involved in different physical processes, the book considers nondestructive methods, including the photoelectric effect, photomultipliers, scintillators, Cerenkov and transition radiation, scattering and ionization, and the use of magnetic fields in drift and wire chambers. A complete chapter is devoted to silicon detectors. In the final part of the book, Green discusses destructive measurement techniques. Throughout, he emphasizes the physical principles underlying detection and shows, through appropriate examples, how those principles are best utilized in real detectors. Exercises and detailed further reading lists are included. 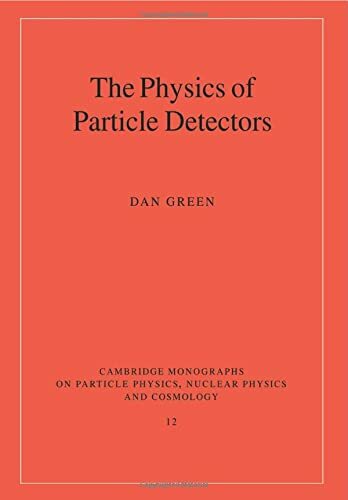 This text provides a comprehensive introduction to the physical principles and design of particle detectors, covering all major detector types in use today. Emphasis is placed on explaining the physical principles behind particle detection, showing how those principles are best utilised in real detectors. The book will be of interest and value to undergraduates, graduates and researchers in both particle and nuclear physics. Exercises and detailed further reading lists are included.